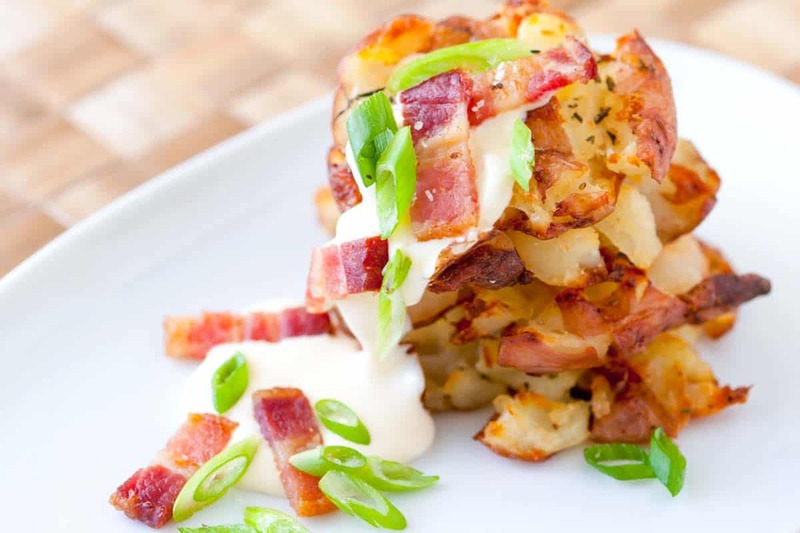 How to make crispy bacon roasted potatoes. 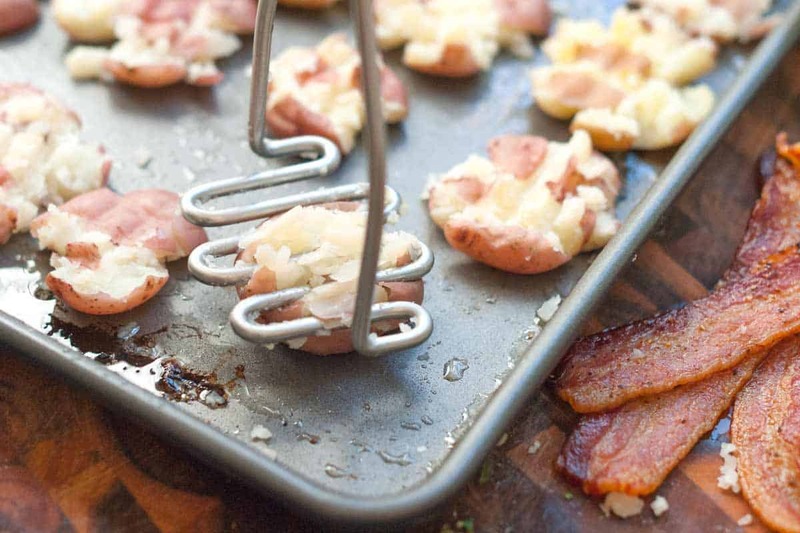 Jump to the Bacon Roasted Potatoes Recipe or read on to see our tips for making them. 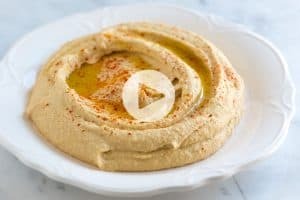 In the recipe below, you will notice we say this will serve four. That may be true, but we managed to down every single one of these crispy smashed discs of creamy potato in one sitting. There, we warned you. We cook the potatoes twice. First, we boil them. Second we smash them and bake in the oven until crispy. While the potatoes are boiling, bake some bacon. When it’s crispy set the bacon aside and leave the bacon fat on the baking sheet — that’s w hat we roast the potatoes in. Throw the cooked and drained potatoes right into the bacon fat then use a potato masher and lightly press down onto each potato. Season with a little olive oil, salt, pepper and herbs then roast until crisp and golden brown. 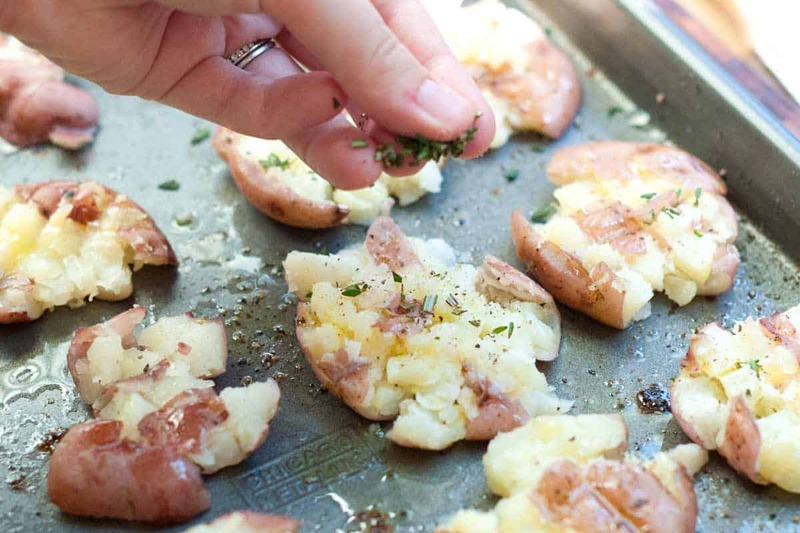 You can make these smashed potatoes without bacon. Simply swap the bacon fat for olive oil, coconut oil or other favorite fat (butter works, too). Add potatoes to a large pot and cover with about 2 inches of water. Add 1 tablespoon of salt and bring to a boil over high heat, reduce to a simmer and cook until fork tender, 20 to 25 minutes. Drain. In the meantime, lay a cooling rack inside a sheet pan with edges. Then place bacon slices on to the cooling rack. Bake in the oven until crispy, 15 to 20 minutes; reserve cooked bacon slices and remove cooling rack from sheet pan. 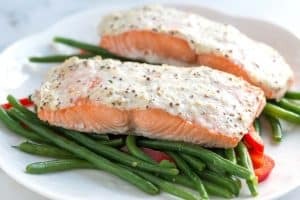 Drain all but 2 tablespoons of baking fat from the sheet pan. Increase the oven temperature to 450 degrees F. Add cooked and drained potatoes to sheet pan with bacon fat then toss so the potatoes are well coated. Using a potato masher, lightly press down each potato, rotate the masher 90 degrees and press down again. You should be left with discs of potato. Drizzle the tops with a small amount of olive oil (or spray with non-stick cooking spray). This makes sure the potatoes are extra crispy. Season with salt, pepper and rosemary. 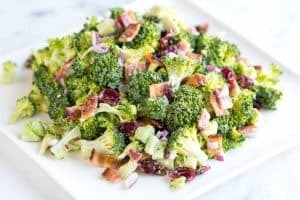 Bake until crispy and golden brown, 25 to 30 minutes.Serve with sour cream, green onion and crumbled bacon from earlier. I have made these potatoes just by themselves before, but flavored with garlic powder along with the S&P. They were sooo good. Also used the bottom of a glass to flatten the potatoes out as well, if you spray it with cooking spray it works very well. silly question, but do you cook the bacon before placing on the cooling rack? or do you start off with raw bacon? i cant wait to make this! We cook the raw bacon on the cooling rack. why put oil on to bake after you have tossed the potatoes in bacon grease? Hi Sue, The extra oil makes sure the tops of the potatoes are nice and crispy once baked. If your sheet pan has a lot of bacon fat, you could omit the olive oil and just use that. It’s really up to you. 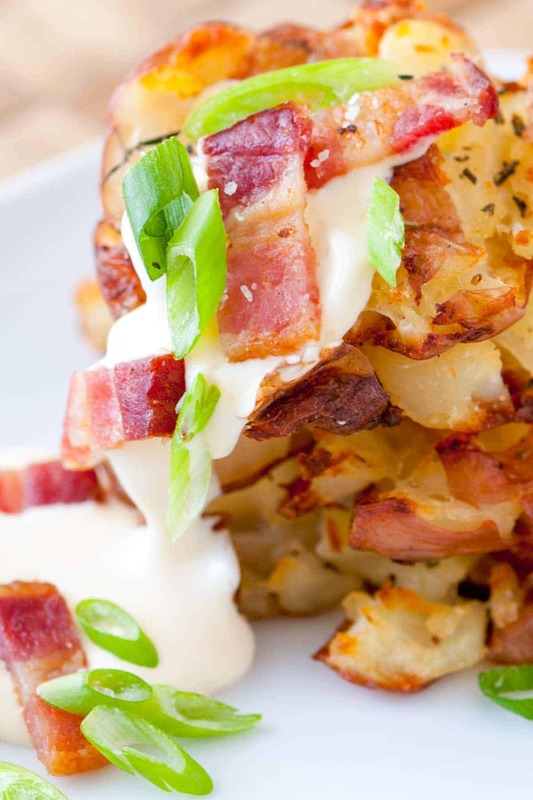 Sigh…everything’s better with bacon…and I’m such a potato lover…this totally works for me! This leaves me absolutely speechless. And hungry.